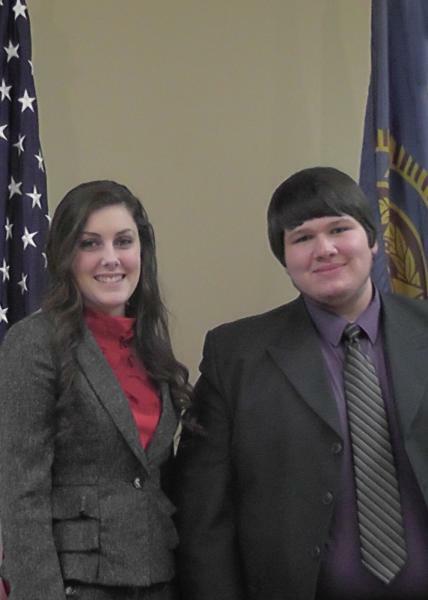 Woodbury American Legion Post 279 held a Oratorical Speech contest at the Senior Citizen center on Jan. 23. Catlin Miller placed second and Ryan Gunter placed first and will represent Post 279 at the American Legion Fifth District contest to be held on Feb. 7. Ryan and Catlin gave speeches on the U.S. Constitution. Post 279 sponsored the cash awards. College scholarships are awarded to winners on the State and National level. The contest is open to all High School Students. Freddie Curtis CCHS Teacher and John Basinger Post 279 member coordinated the event.